I'm an IT consultant with deep knowledge of Microsoft products & technologies, been working in this field from the start of my career. Areas of expertise include both...Read moreI'm an IT consultant with deep knowledge of Microsoft products & technologies, been working in this field from the start of my career. Areas of expertise include both desktop and server, and both on-premise and cloud. 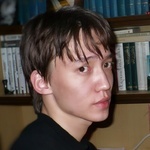 Currently I run an IT consultancy agency in Kazakhstan. Timezone is GMT+6, work schedule is flexible. Do speak 3 languages (Kazakh, English and Russian), now learning Spanish. Excellent is an understatement! Professional, sharp and dedicated. Also respects deadlines. Will certainly come back for more, thanks! Amazing work, as expected from such a hard worker. Pleasure to work with.